The following Etsy shops are running specials tonight! Here's a list of the shop name, the special each is running, and a shop link. They're broken into categories for easier shopping. Unless it's indicated otherwise, the coupon code is SNS0423, to be entered at checkout. Please check the shop announcements of the individual shop for start times. Shop owners are open to questions, so please don't hesitate to contact them if you have questions. Here is the link to see all of the projects in the Sew McCool Twelve Days of Holiday Bloggers Challenge. 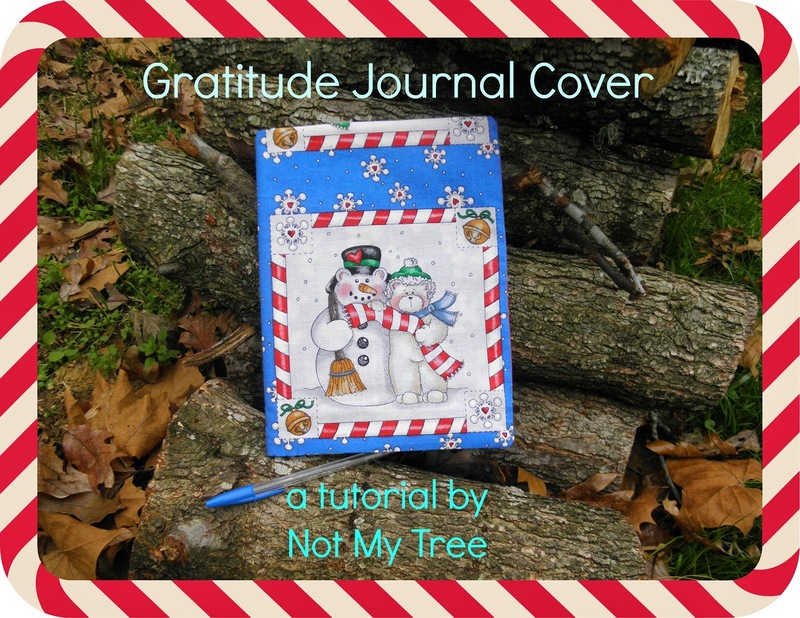 If you'd like to head over and vote for one of the projects (maybe my Gratitude Journal Cover? ), that would be awesome! Click on the first image below and it will take you to the voting site. I love objects that multi-task, and this one is no exception. Is it a personalized journal cover for a budding elementary school student? A fancy cover for a wedding guest book? A gratitude journal for a holiday gathering? I was searching for a simple pattern for my daughter's composition book cover this year. I didn't need anything ornate or complicated; in fact, I was specifically looking for something without bells and whistles, something we could remove from one notebook when it got full and put onto another inexpensive composition book. I was surprised when I couldn't find what I needed anywhere in the realm of the entire Internet. I found passport covers, covers for recipe books, ornate covers for Bibles, covers to fit trade paperbacks so no one could see what you were reading in the airport...but nothing for a simple composition book. Being that I'm proud and lucky mother to an aspiring writer, I knew I'd have to come up with a pattern for one on my own. So I did. As is the case with many things, the project took on a life of its own, and shortly, besides having the journal cover I envisioned, I also had a cover for the Christmas Gratitude Book we use for our family each year. Sometime during the holiday season, we take the time to write a list of things for which we are grateful. That deserves a special book. A special book that's simple to make. This one fits the bill. 1. Two pieces of fabric (for front and inside), each measuring 16" by 10 3/4"
2. Two pieces of fabric (for pockets to hold cover flaps), each measuring 10 3/4" by 9", folded and ironed to measure 10 3/4" by 4 1/2"
2. Stack your fabric as follows: inside piece (right side up), two pockets (right side up, pressed and finished edges toward the inside so all of the raw edges line up on the outside), outside fabric (right side DOWN). Pin all of your edges, making sure to catch all of the layers of fabric, and making sure to leave a 2"-3" opening at the very bottom (indicated by the vertical pins in the picture below) to turn your piece. 3. Sew all the way around, making sure to leave that 2"-3" gap at the bottom and being sure you catch all three layers in your stitching. 4. Turn right side out through the opening, making sure your outer fabric ends up on one side and your inner fabric and pockets are on the other side. 5. Press the whole piece. 6. Slip stitch your small opening closed. 7. Put in your notebook, securing the front and the back cover in between the inside fabric and the pockets. The options for personalization are endless. Sew a small pocket on the front to hold a pen. Sandwich lace between the edges before you sew to make a fancy wedding guest book. Use machine embroidery to personalize or write an inspirational message. This tutorial can be found with several other holiday-themed tutorials over at Sew McCool. Happy holiday sewing! Don't forget to visit all of the bloggers who are creating tutorials for the Sew McCool 12 Days of Christmas challenge! Voting will begin on www.sewmccool.com on December 13 and go through 11:59 p.m. U.S. Eastern time on December 20. The blogger with the most votes will win $100 - just in time for Christmas!